December 2nd will be the first Sunday of this year’s season of Advent. To read more about what that means and how we celebrate, try this article I wrote a few years ago for the local paper. It’s a good introduction to anyone new to Advent. 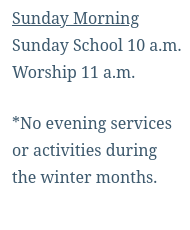 Our Sunday School literature this year is doing a series of lessons very similar to our annual Advent services. Each week in Sunday School we will follow a person or group of people as they encounter God and respond to the birth of Jesus. There will be one lesson Joseph and another on Mary while in our Sunday morning worship we will consider the faith of Joseph and Mary together; there is a lesson on angels but not one for shepherds. Again, the Sunday School lessons are similar but not exactly the same. We will certainly spend more time exploring the scriptures learning about all those surrounding the birth of Jesus than we have in years past. This entry was posted in announcement and tagged Advent, birth of Jesus, study, Sunday School, worship. Bookmark the permalink.